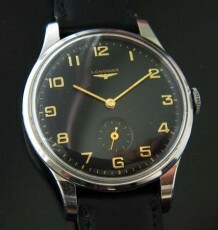 Longines vintage watch from 1940 with manual wind calibre 25.73. 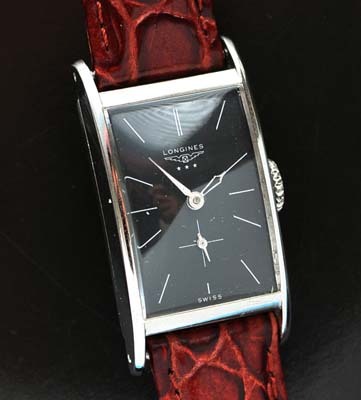 A vintage Longines wrist-watch with a wonderful rectangular stainless steel case, using a soft iron inner case liner to add extra antimagnetic protection. 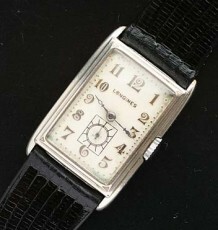 This watch has been painstakingly restored to original condition. 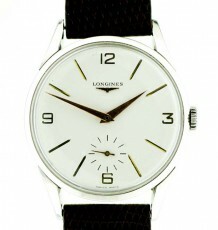 The dial was restored by a European craftsman that is used by some manufacturers for their historical restorations. The flat black dial features long thin hour markers with a delicate sub-seconds chapter. The case, has been detailed and sparkles in the light of day. 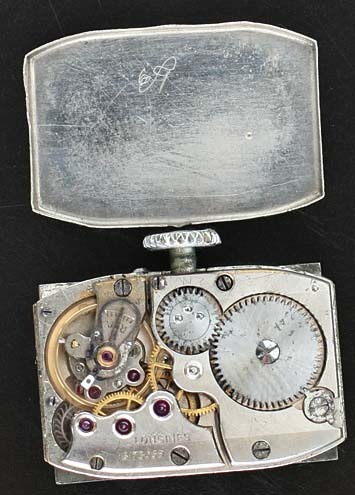 Inside the outer caseback, the watch is stamped Antimagnetic which was a huge selling pint in the 1940’s. 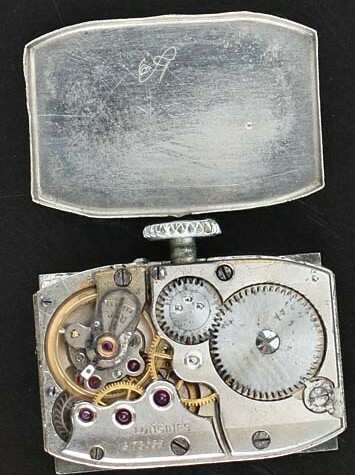 The serial number of the watch movement, calibre 25.73, dates this particular watch to 1940. Overall an incredible value for the quality at this price point. The watch measures 20.5 mm wide by 38 mm long and is supplied on a new black padded leather strap.